Photo by Sam Thiel Pictured above is the Marshall girls golf team. Front Row (L to R): Clara Jennings, Brooklyn Gossen, Kaylee VanHauwaert, Emma Runchey-Smalley and Mild Du. Middle Row (L to R): MacKenna Eickhoff, Avery Leary, Ramsey Nelson, Kiara Maeyaert, Hannah Verkinderen and Bella Philips. Back Row (L to R): Lauren Buysse, Courtney Toulouse, Olivia Peterson, Rachel Schwarz and Holly Netzley. Missing: Ashtyn Eben. 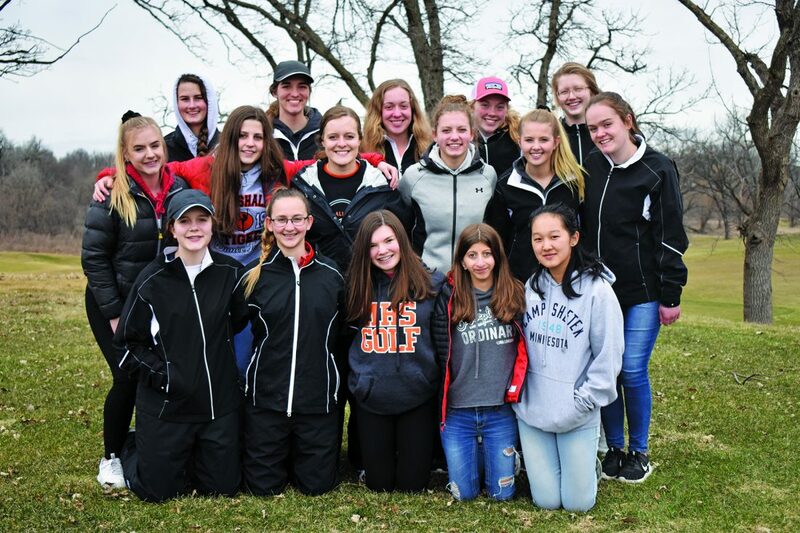 MARSHALL – Last season, the Marshall boys and girls golf teams had another strong year, with the Tigers placing second as a team at state on the girls side and seeing Spencer Ehlers on the boys side reach state. On the boys side, the Tigers are ready to improve on their 2018 campaign with even more success. 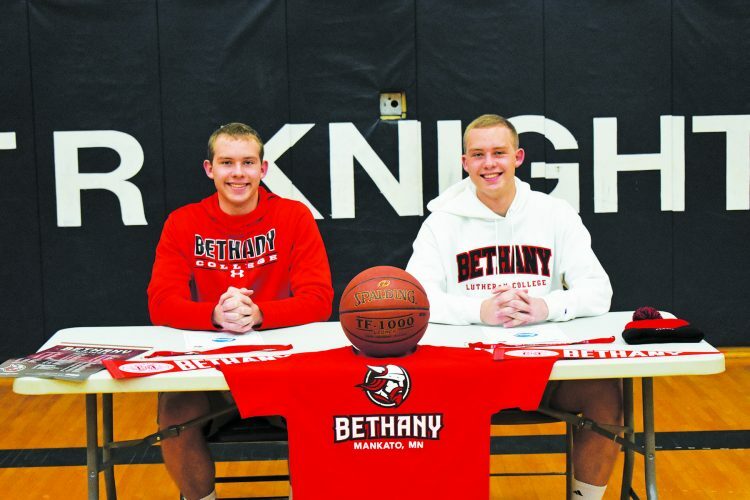 This season, Marshall has 13 returners, led by its three seniors in Spencer Ehlers, Mason Plante and Kaleb Soehl as well as a handful of juniors including Landon Frost, Noah Puetz, Tannyr Curry, Ethan VanHauwaert and Dominik Caspers. Coach Kari Ehlers said she has high expectations for her team this year and they need to rely on their veterans to lead the way. Throughout the first few weeks of the season, coach Ehlers said they’ve been practicing on their short game as well as a variety of different shots like punch-outs and trouble shots. Golf also have some new rules this year, and coach Ehlers wants her team to be well-versed with them heading into the season. On the girls side, the Tigers will look to post another deep run and make a trip to the state tournament after placing runner-up a season ago. Marshall coach Gretchen Flynn said that state experience from last year will be a key factor for them in boosting their confidence as a team and raising their game to the next level. 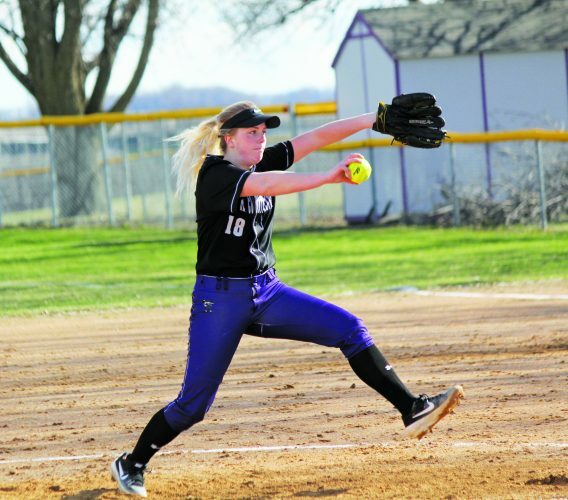 Leading the way for the Tigers this season will include seniors Olivia Peterson, Courtney Toulouse and Ashtyn Eben as well as junior Rachel Schwarz. Flynn added they have high expectations and knows it’s going to be another challenging season with many teams bringing lots of experience back.